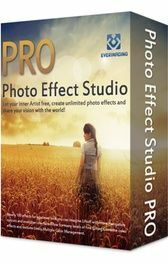 Fotor Pro was available as a giveaway on November 24, 2016! 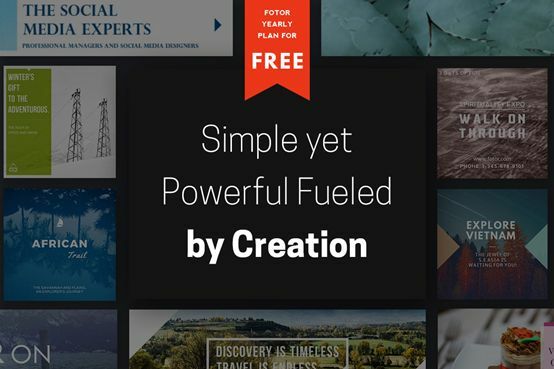 Fotor is a powerful yet easy-to-use photo editing and graphic design platform. 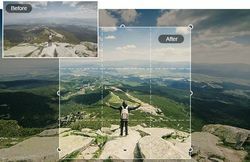 The photo editing features a 'collage' and 'edit' feature, utilizing exclusive technology to bring an unprecedented level of editing control to everyone. 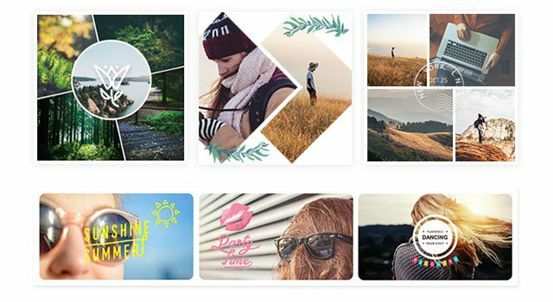 Fotor offers templates ranging from invitation cards, posters, social media covers and much more. How would you improve Fotor Pro? 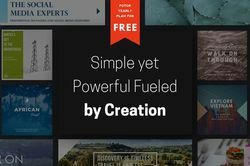 Featured titles by Everimaging Ltd.
Add effects or frames to make your work even better. please note that it is an online service and there is no installation file for it! Please follow the instructions in readme to get your license code and try it out! GOTD team wishes Happy Thanksgiving to all our users and their families! May this Thanksgiving be full of joy and peace for you and all those you love! Helen, thank you for your and the GotD team's wishes, and a Happy Thanksgiving to you! My two euro cents to Suze's suggestion: couldn't we be given the choice, for the order of the display, between first, last, and most useful comment, like on most sites? That would really help when there are many posters. And a happy thanksgiving to all US visitors here. Helen, Happy Thanksgiving to you too! This confusing offering of an on-line photo editor leaves a lot to be desired. There are considerably better photo editors available for free on the web. The Fotor editor is so incomplete that you cannot fully edit photographs with this product. I suggest skipping it for almost any other free editor found on the web. Could you please clarify whether or not this giveaway expires on January first of 2017? Helen, Could you please clarify whether or not this giveaway expires on January first of 2017? Thank you. I did everything like told in the readme.txt. BUT WHERE IS THE FOTOR PRO -PROGRAM? I can´t find a download link nor can I find the internet location for online editing. what is the subcription good for? Is this for Windows? I did everything like told in the readme.txt. point 3.) should be done before point 1.) and 2.) Finally I did the registration of a new account, the "Facebook" is more than confusting. when the editor is similar confusing than good night... After that the registration page showed announced me "expire date 2017-01-02 CST". 1 month? mhhh..... BUT WHERE IS THE FOTOR PRO -PROGRAM? I can´t find a download link nor can I find the internet location for online editing. what is the subcription good for? Is this for Windows? HELP! 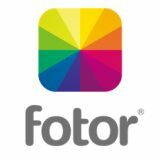 what is the Redeem voucher code to activate Fotor Pro. Gives me my lic. code but this does not work. It's OK, nothing to get excited about, the interface is a bit clunky, and it's only good for one month???? Glad I didn't have to download or install it. I'll let it lapse. The process to get it is very strange, I was able to figure it out between the comments here and educated guesses. The latest version of this Fotor Editor for Windows (there is also Mac version I believe) is 3.0.0.0 and d/load File is 110 MB in size. I had previous free version of Fotor and easily updated it to this one. Installation is a bit slow, but be patient. 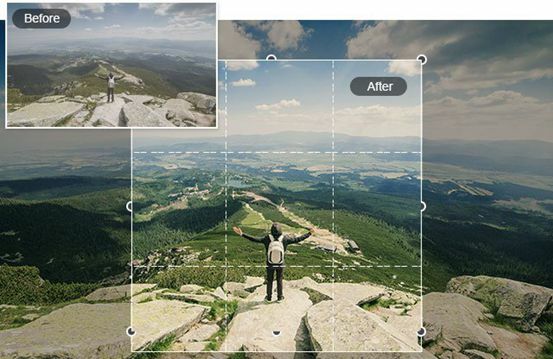 Software itself is one more useful photo Tool at your disposal and has some cool features. Happy Thanksgiving Evening to US Friends! Hi, if anyone wants to opt-out of this Offer for online Fotor service, but instead would prefer Free Fotor Software for Windows - it can be found here: http://www.fotor.com/windows/index.html The latest version of this Fotor Editor for Windows (there is also Mac version I believe) is 3.0.0.0 and d/load File is 110 MB in size. I had previous free version of Fotor and easily updated it to this one. Installation is a bit slow, but be patient. 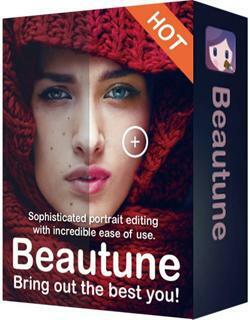 Software itself is one more useful photo Tool at your disposal and has some cool features. Happy Thanksgiving Evening to US Friends! There is only a Payment-Info but no way to use the given serial to register. I was excited to see this since I've used fotor products before and liked them. But a code for a month-long trial? For a product that can more or less be "tried" for free anyway? That's not what I consider a "giveaway." Gonna pass. I've already "tried" it. crabbypatty, Yeah, I didn't realize that this was such a short trial until I got the email that my account had expired yesterday. I didn't even have the time to tinker with it too much. So much for that. I can not download any software for this product. The link you gave in your " installation " software goes back to the register pages of the manufacturer's website. Richard Walker, this is only a online service. But how do you get the redeem code? By email? drvajra, In the Readme you found a other link to get the redeem code for this online service. nibo1978, Thank you so much! Todays freebie seems to be for online editing but they also offer a FREE offline editor anyway? I found, somehow, an open tab with the final part of this ridiculous registration process and pasted in my code. Having downloaded the free offline software which seems to be pretty good, I played with the online offering. Completely pointless as far as I see it. I cannot see how manipulation of photos online is better than on my computer but I guess if you are a tablet user, then maybe. i only use a PC. These are my thoughts but if online is your thing then it would appear to do everything its free offline editor does plus it offers many templates. I doubt i will be using it so for me it really was a waste of considerable effort. Todays freebie seems to be for online editing but they also offer a FREE offline editor anyway? I found, somehow, an open tab with the final part of this ridiculous registration process and pasted in my code. Having downloaded the free offline software which seems to be pretty good, I played with the online offering. Completely pointless as far as I see it. I cannot see how manipulation of photos online is better than on my computer but I guess if you are a tablet user, then maybe. i only use a PC. These are my thoughts but if online is your thing then it would appear to do everything its free offline editor does plus it offers many templates. I doubt i will be using it so for me it really was a waste of considerable effort. It shows Expire Date 2017-01-01 10:54:25 CST ! So only one month of Pro Version ? It shows Expire Date 2017-01-01 10:54:25 CST ! So only one month of Pro Version ? WHERE to put the recieved serial?! ChrisH, Use the first link from the readme to create an account fotor. than activate you account and then put the recieved serial on the website from fotor (redeem code). Fotor is an online service. nibo1978, I couldn't find it and did you get yours? Since it's a kind of tradition to say how difficult the registration is i'm not gonna do it. You have to open the first link from the readme.txt fotor website, there you should be at the step one "Just Register/Sign In" where you need to sign up with your email and password (or sign in if you already registered), after signing up open your email and open "Welcome to Fotor and activate your account now!" if it's arrived. There you have to confirm your account by clicking on the link. Then you have to open 2nd link from readme.txt enter name and the same email, then go to inbox again and open "Giveaway of the Day license key for Fotor Pro" email, copy the key and go back to the fotor site where you should be at step 2 "input your redeem code" enter the code below "Input redeem code" and click "Verify redeem code" and that's it for the registration, you should be at step 3 "Enjoy" now. For me it said Expire Date：2017-01-01 CST. As for the program it's the first decent photo editor that doesn't crash after a few operation from giveaway that i've used. Since it's a kind of tradition to say how difficult the registration is i'm not gonna do it. You have to open the first link from the readme.txt fotor website, there you should be at the step one "Just Register/Sign In" where you need to sign up with your email and password (or sign in if you already registered), after signing up open your email and open "Welcome to Fotor and activate your account now!" if it's arrived. There you have to confirm your account by clicking on the link. Then you have to open 2nd link from readme.txt enter name and the same email, then go to inbox again and open "Giveaway of the Day license key for Fotor Pro" email, copy the key and go back to the fotor site where you should be at step 2 "input your redeem code" enter the code below "Input redeem code" and click "Verify redeem code" and that's it for the registration, you should be at step 3 "Enjoy" now. For me it said Expire Date：2017-01-01 CST. As for the program it's the first decent photo editor that doesn't crash after a few operation from giveaway that i've used. Gone thru to getting my code but when I re-click the first link I can see I am recognised but I am being asked to 'Upgrade now' where I am being asked for payment with a box for discount code only. Nothing about 'Verify redeem code;' to be found anywhere. Have they run out already? Trust me, this is the very first reg process that has stumped me so well done for getting through it. Evgeny, Gone thru to getting my code but when I re-click the first link I can see I am recognised but I am being asked to 'Upgrade now' where I am being asked for payment with a box for discount code only. Nothing about 'Verify redeem code;' to be found anywhere. Have they run out already? Trust me, this is the very first reg process that has stumped me so well done for getting through it. Finally found a completely new tab had opened allowing input of code - False alarm. Evgeny, I should correct myself by saying that this is indeed an online service, and the code for one month pro subscription is only for this service. 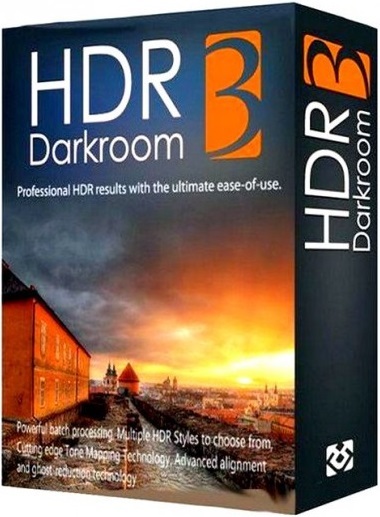 But you can also download this software for Mac, Windows, Android, and iPhone. Evgeny, I should correct myself by saying that this is indeed an online service, and the code for one month pro subscription is only for this service. But you can also download this software for Mac, Windows, Android, and iPhone. Terry E, You're welcome. I guess you were on the subscription confirmed page. The zip downloaded contains only a Readme.txt? Hon Kong, Fotor is an online design service like Canva, this just gives you access to the pro features I think.